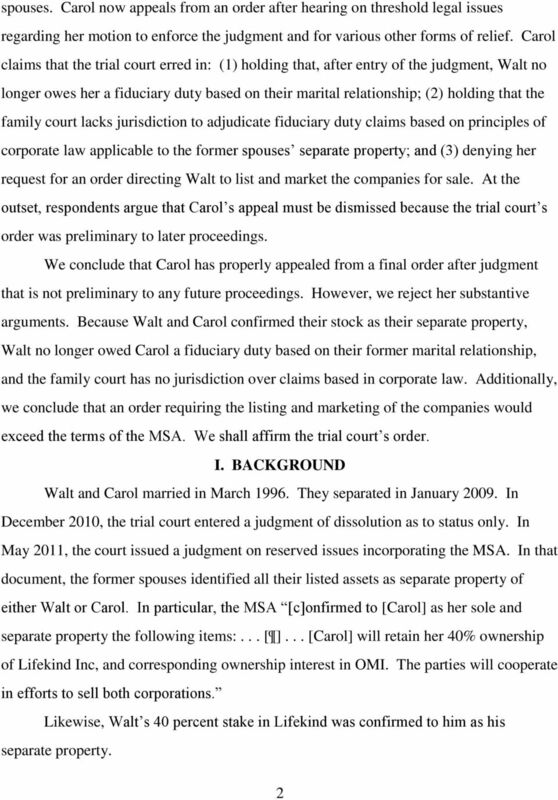 IN THE COURT OF APPEAL OF THE STATE OF CALIFORNIA THIRD APPELLATE DISTRICT (Nevada) ---- In re the Marriage of CAROL and WALT BADER. 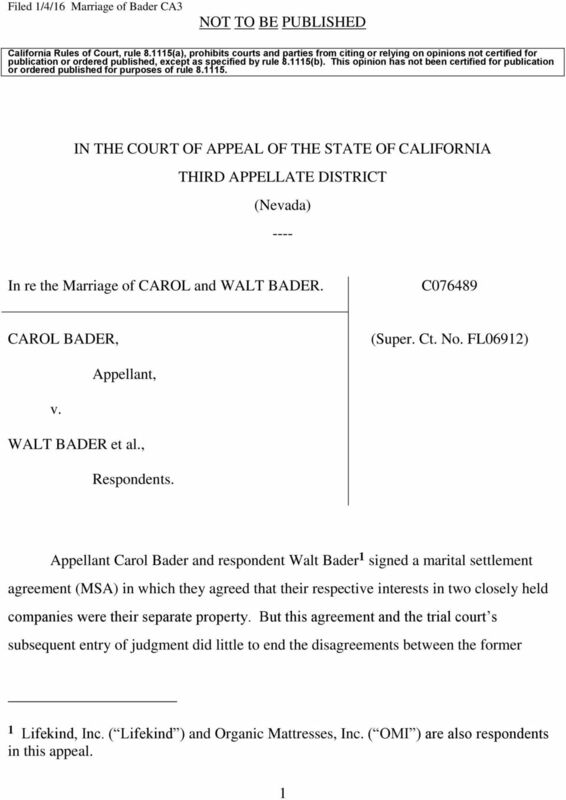 Download "IN THE COURT OF APPEAL OF THE STATE OF CALIFORNIA THIRD APPELLATE DISTRICT (Nevada) ---- In re the Marriage of CAROL and WALT BADER." 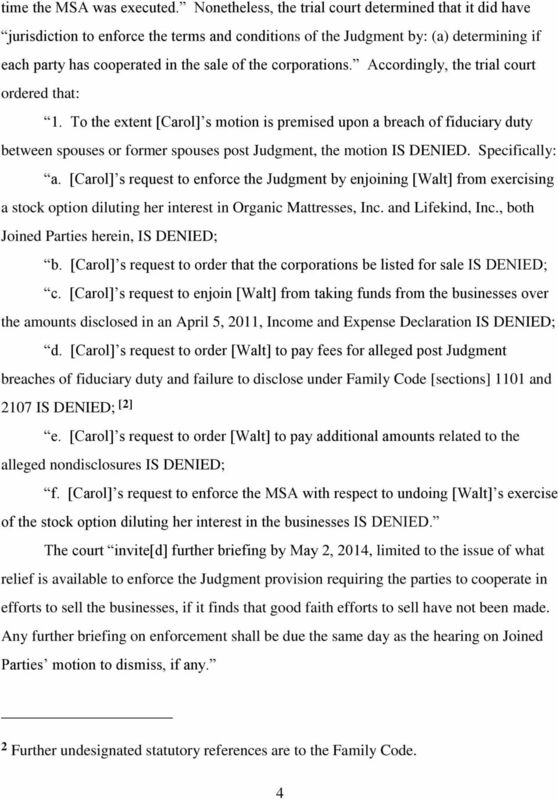 Filed 5/16/13; pub. order 6/12/13 (see end of opn.) 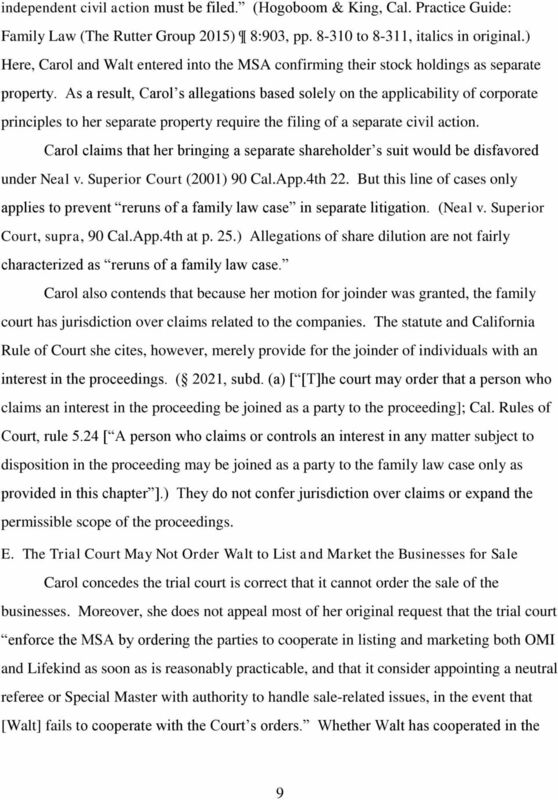 IN THE COURT OF APPEAL OF THE STATE OF CALIFORNIA THIRD APPELLATE DISTRICT (El Dorado) ---- STEVE SCHAEFER, Plaintiff and Respondent, C068229 (Super. LAS VEGAS LAND AND DEVELOPMENT COMPANY, LLC, et al., Plaintiffs and Appellants, v. WILKIE WAY, LLC, Defendant and Respondent. Filed 10/23/96 CERTIFIED FOR PUBLICATION IN THE COURT OF APPEAL OF THE STATE OF CALIFORNIA THIRD APPELLATE DISTRICT (Sacramento) ---- SHARON BOUTTE, Plaintiff and Respondent, 3 Civ. C020606 (Super. Ct. Filed 10/9/15; pub. & mod. 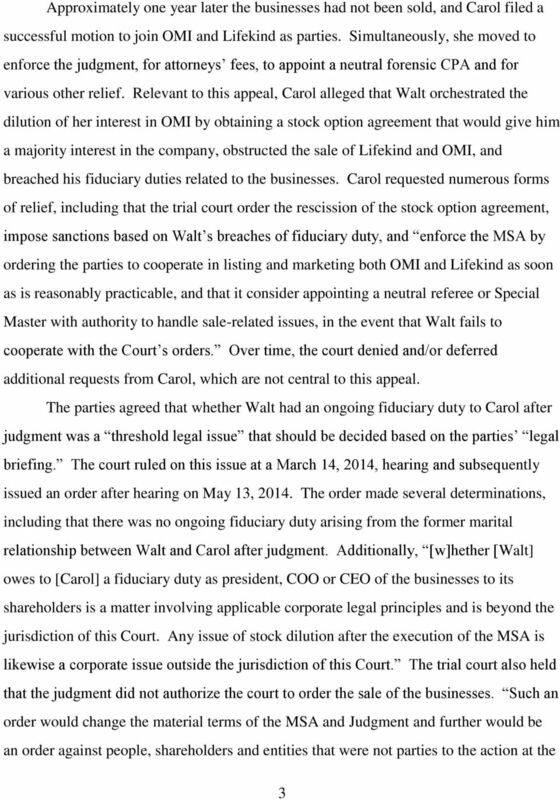 order 10/27/15 (see end of opn.) 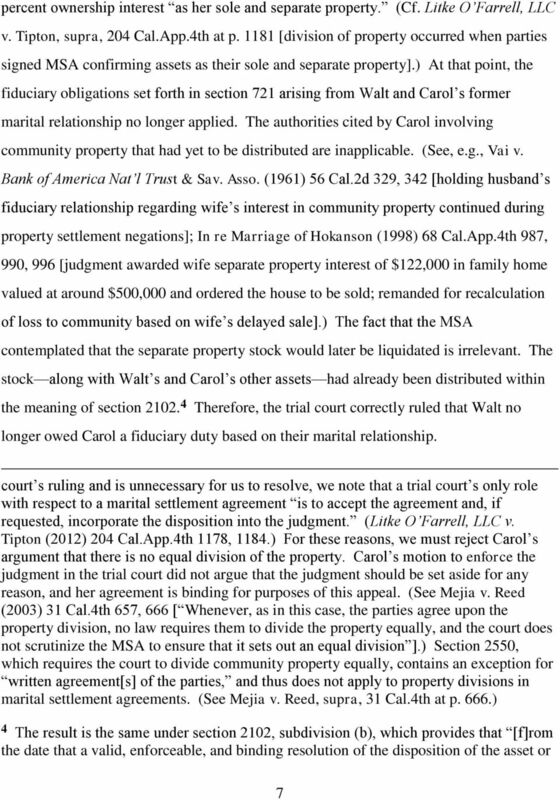 IN THE COURT OF APPEAL OF THE STATE OF CALIFORNIA FOURTH APPELLATE DISTRICT DIVISION THREE In re the Marriage of TERRI E. and GLENN RICHARD DRAKE. No. 2-11-0969 Order filed June 6, 2012 NOTICE: This order was filed under Supreme Court Rule 23 and may not be cited as precedent by any party except in the limited circumstances allowed under Rule 23(e)(1). RICHARD D. TUCKER et al. DANIEL G. LILLEY et al. ***** TROUBH HEISLER, P.A. DANIEL G. LILLEY LAW OFFICES, P.A. et al. 29 of 41 DOCUMENTS. SAN DIEGO ASSEMBLERS, INC., Plaintiff and Appellant, v. WORK COMP FOR LESS INSURANCE SERVICES, INC., Defendant and Respondent. Filed 7/16/2001 CERTIFIED FOR PUBLICATION IN THE COURT OF APPEAL OF THE STATE OF CALIFORNIA SECOND APPELLATE DISTRICT DIVISION FIVE PAMELA WARREN PORTER, Plaintiff and Appellant, B145178 (Super. Ct. No. Filed 6/4/98 CERTIFIED FOR PUBLICATION IN THE COURT OF APPEAL OF THE STATE OF CALIFORNIA SECOND APPELLATE DISTRICT DIVISION THREE MIGHTY OAK TRUST et al., Plaintiffs and Appellants, B100335 (Super. Ct. Filed 6/9/04; pub. 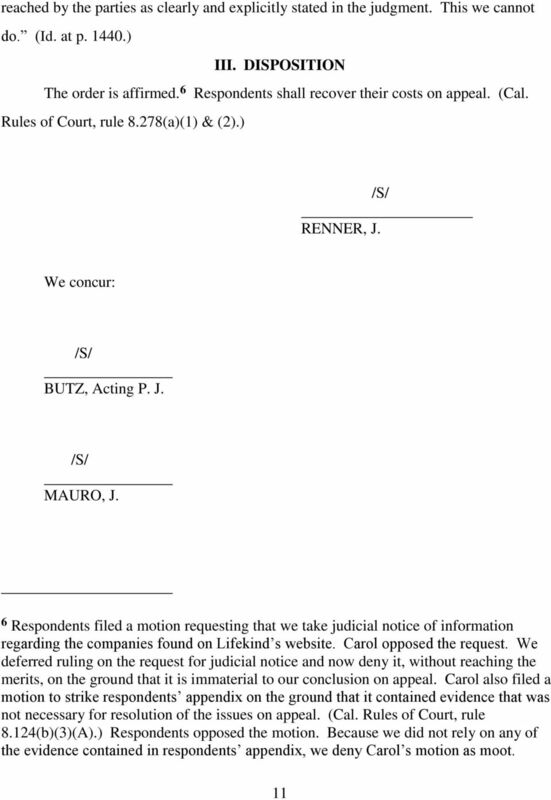 order 7/9/04 (see end of opn.) 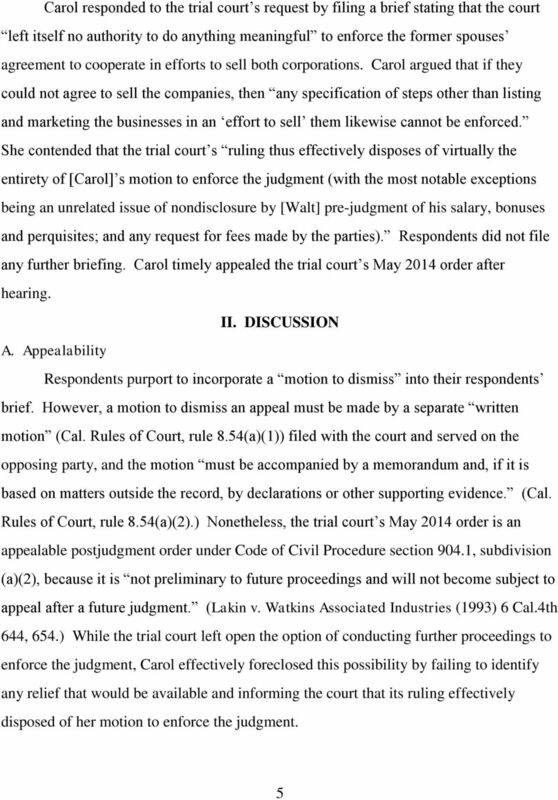 IN THE COURT OF APPEAL OF THE STATE OF CALIFORNIA THIRD APPELLATE DISTRICT (Sacramento) ---- EMILY SMITH, Plaintiff and Appellant, C043306 (Sup.Ct.No. In the Missouri Court of Appeals Eastern District DIVISION THREE GARY GERVICH, Deceased and ) No. ED94726 DEBORAH GERVICH, ) ) Appeal from the Labor and Appellant, ) Industrial Relations Commission ) vs. 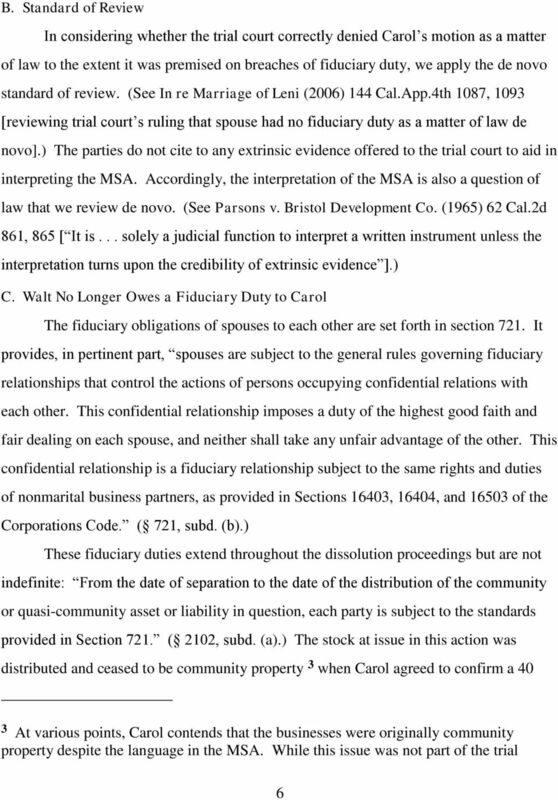 Filed 7/10/12 CERTIFIED FOR PUBLICATION IN THE COURT OF APPEAL OF THE STATE OF CALIFORNIA SECOND APPELLATE DISTRICT DIVISION SIX JESSICA FREEMAN, Plaintiff and Respondent, 2d Civil No. B230066 (Super. Filed 8/18/15 CERTIFIED FOR PUBLICATION IN THE COURT OF APPEAL OF THE STATE OF CALIFORNIA FOURTH APPELLATE DISTRICT DIVISION TWO RSL FUNDING, LLC, Plaintiff and Respondent, E060421 v. FELICIA ALFORD, (Super.Ct.No. Filed 5/14/13 CERTIFIED FOR PUBLICATION IN THE COURT OF APPEAL OF THE STATE OF CALIFORNIA THIRD APPELLATE DISTRICT (Nevada) ---- GREGORY W. BOCK, as Trustee, etc., Plaintiff and Appellant, C069863 (Super.